The Bulgarian Red Cross carries out its activities in pursuit of its main objective to alleviate and prevent human suffering with impartiality and neutrality, without discrimination as to nationality or race, gender, social status, religious belief or political stand. 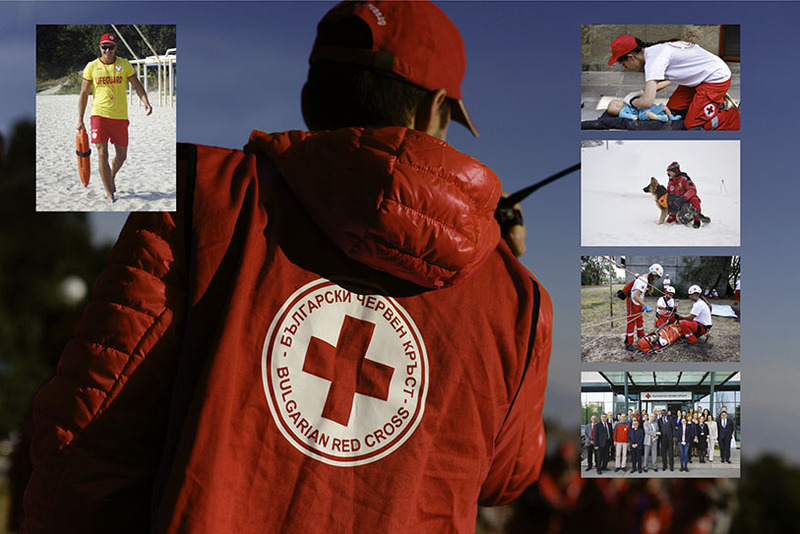 The Bulgarian Red Cross is a voluntary organization, part of the International Red Cross and Red Crescent Movement and is guided by its Fundamental Principles: Humanity, Impartiality, Neutrality, Independence, Voluntary Service, Unity and Universality. Through its countrywide network of volunteers, the BRC renders assistance to the vulnerable people in situations of disaster and crisis. By means of training programmes and activities for the benefit of the public, the National Society contributes to alleviating and preventing the suffering in all its forms, it protects health and life and ensures respect for the human being. In compliance with its humanitarian mission, the Bulgarian Red Cross implements various activities to alleviate vulnerability, prevent the social exclusion of the most marginalized people and improve the quality of their life. It provides services and caries out various initiatives and campaigns related to protecting the human life and health, including promotion of health culture, first aid, road safety and others. Bulgarian Red Cross supports the State in situations of disasters, accidents, crises and armed conflicts. The organization is part of the Unified Rescue System in Bulgaria. The Bulgarian Youth Red Cross, through its thousands of volunteers, carries out activities throughout the country, for promotion of humanitarian values, prevention of violence and socially significant diseases, disseminating healthy lifestyle practices among children and young people, training in first aid, first psychological aid and psychosocial support. Through its Mountain Rescue Service, the Bulgarian Red Cross assists the victims of mountain incidents and its Water Rescue Service ensures the training of qualified lifeguards and works towards prevention of water traumatism. 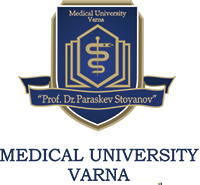 Medical University – Varna was established in 1960 and it was named after Prof. Dr. Paraskev Stoyanov – the person who laid the foundations of the first Bulgarian School of Surgery. MU-Varna offers high quality of training - it is the first and only university in the country to introduce a model for Business Excellence of the European Foundation for Quality Management in 2008. The diplomas awarded by the university are recognized in all European countries. 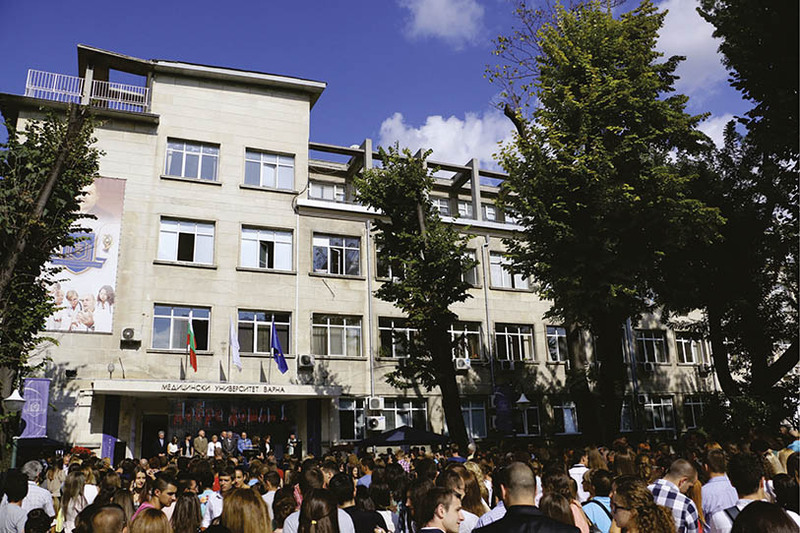 For the academic year 2016-2017 Varna Medical University is the preferred university and has over 1,200 foreign students from 43 countries around the world, it maintains partnerships with more than 80 international institutions from 5 continents. In the university, which has more than 55 years of history, more than 5,000 students, postgraduates and PhD students are trained in the faculties of Medicine, Dental Medicine, Pharmacy and Public Health, the Medical College and the Affiliates in Sliven, Veliko Tarnovo and Shumen. Over 50 000 are the university alumni who are living and working in more than 40 countries around the world since the university’s establishment. Only a few months ago, the Medical University of Varna won the "Best Innovations in Education" award at the Webit Festival 2017, which is the largest technology forum. The prize was awarded for the integration of modern IT solutions, systems and innovations into the training process. The university is also proud with the sporting achievements of its students in swimming, football, volleyball, basketball and tennis. The University has also a sailing team, which competes with its own sailing boat. The University has a theater troupe, a rock group, a dance ensemble. People from the city of Varna knows the prospective physicians from the numerous charity and health campaigns which they initiate and conduct in our city annually.